Technology impacts the way our kids think, behave and communicate. In this episode, we start at the beginning. When and how to introduce your kids to a smartphone. How to set limits and bring peace to your home (at least a little). 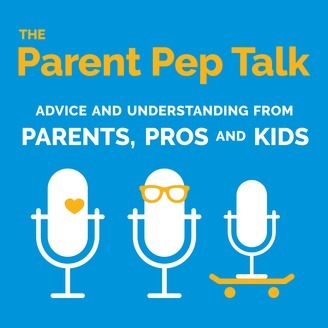 Our kids panel offers advice on how to keep kids off their devices, and one dad Takes One for the Team by sharing a story about his son’s secret Snapchat account. Plus, our Safe Kids Tip of the Week will help keep your older kids safer when walking to school. Marc Groman is an internationally recognized expert in privacy, technology and cyber security. His past roles include Senior Advisor for Privacy in the Obama White House, Chief Privacy Officer of the Federal Trade Commission, and President and CEO of the Network Advertising Initiative. When not consulting, serving on various boards, or teaching at Georgetown Law School, you’ll often find Marc explaining Snapchat, YouTube, smartphone privacy settings, and Fortnite to other dazed and confused parents. Dr. David Reitman is a board-certified pediatrician specializing in adolescent medicine, meaning he just treats teens. He is an associate professor in pediatrics and an attending adolescent medicine physician at Georgetown University Hospital in Washington, D.C. He is a well-known national lecturer on topics relating to adolescent health and college health such as teen substance abuse, mood disorders, and developmental problems. 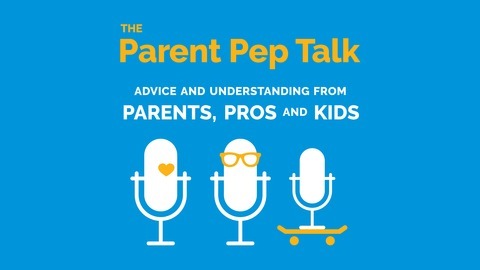 Together, Marc and David host a podcast called Their Own Devices that offers helpful tips about screen time, social media, sexting, privacy, online gaming, and other challenges facing parents. Marc and David aren't just experts – they're also married, and raising a teenage son.